Because I use affiliate links on this site (I get a few cents each time you guys click a shopping link) I am able to see a dashboard of what items were the most clicked/purchased on each week/month. 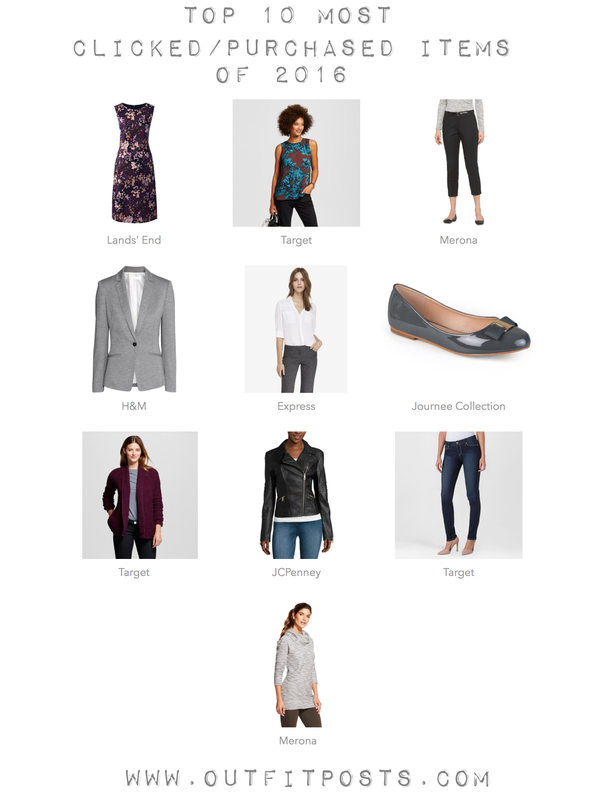 I think it’s really interesting to see which clothing links you guys are engaged by and click a bunch. And then compare those to which ones you decide to pass over. I decided to look at the year as a whole and see what was most popular. Here’s the most clicked items for all of 2016 with a few graphics for examples of how I’ve worn those popular items. Hope you enjoy! Sleeveless Ponté Sheath Dress – Great work dress. I own this in both a winter color and summer color pattern. Love remixing it with cardigans. Layering Shell – Cute easy top from Target. Love the plaid version I bought. 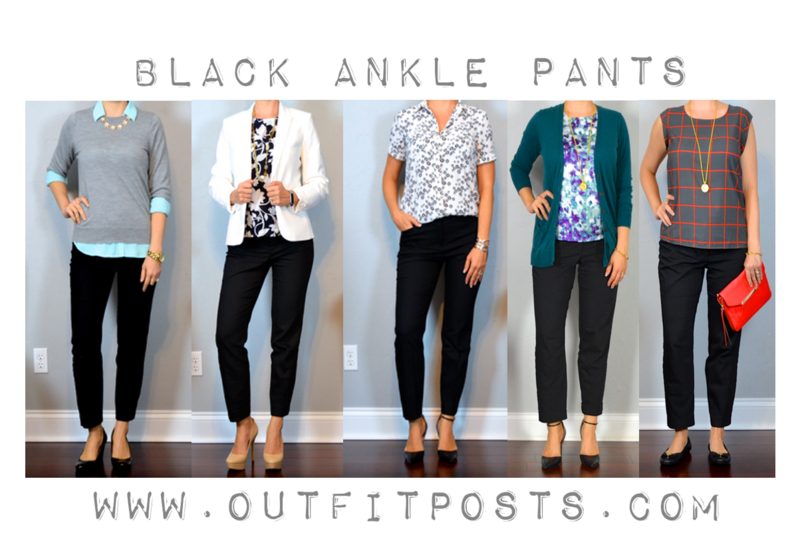 Classic Ankle Pant – Always need great basics to support the fun items in the wardrobe. This pair of pants goes with everything. 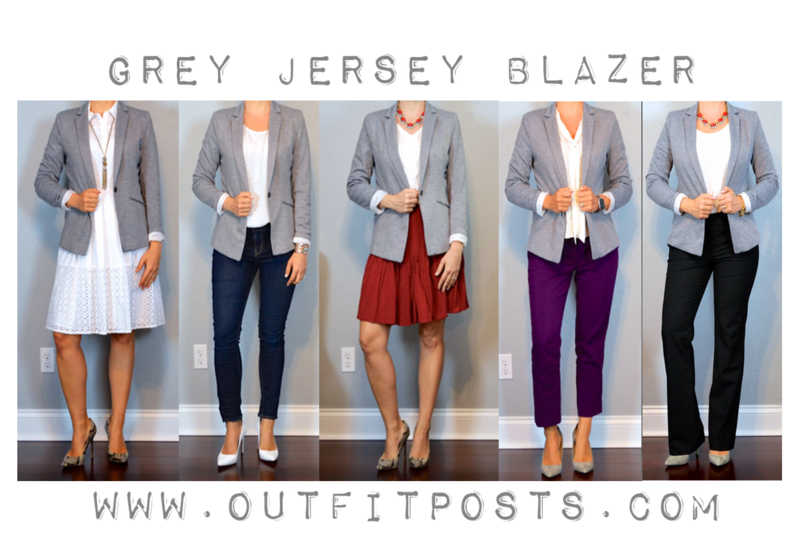 Grey Jersey Blazer – Super soft and cozy. Structure appearance of a blazer but stretch and cardigan-like in feel. Best of both worlds! 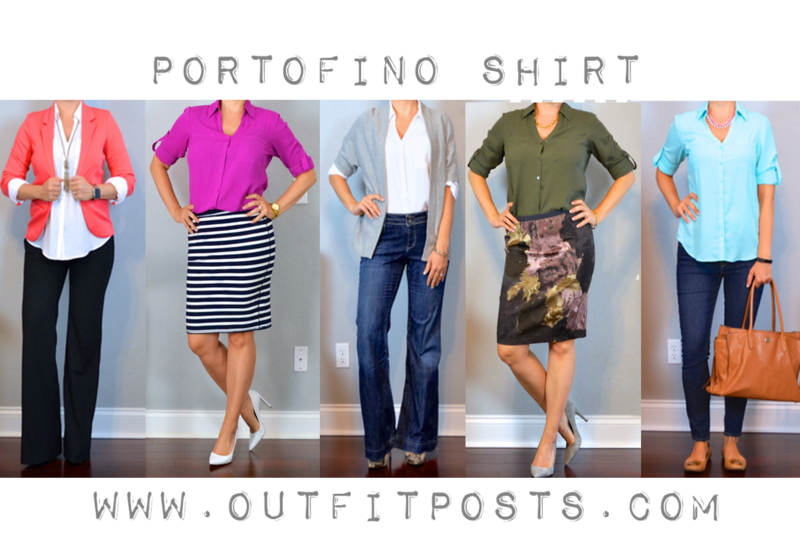 Portofino Shirt – I own about 8 of these shirts (with and without sleeves) and they are great. Great for not wrinkling. Great for a pop of color layering under sweaters. Great for looking bright and cheery and put together with jeans. 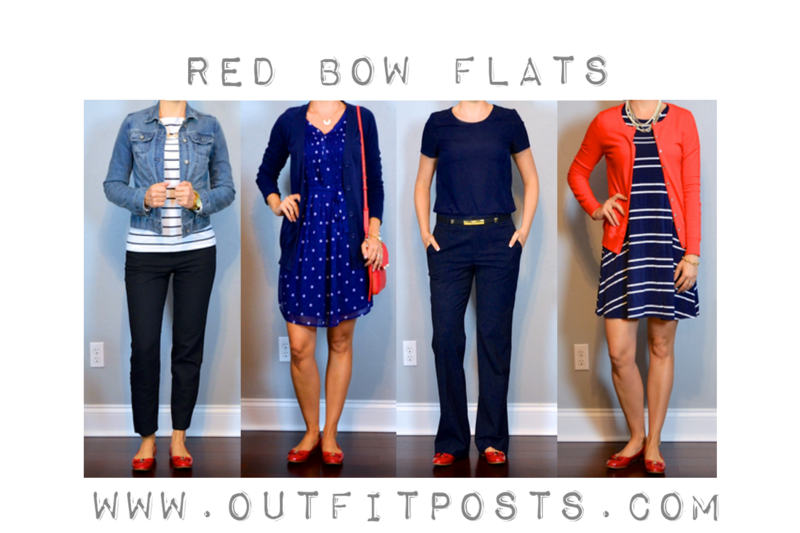 Bow Ballet Flats – These are a great knockoff of designer bow flats. And red bows on your toes makes all holiday outfits more fun! Textured Open Layering Cardigan – Cozy, warm snuggly cardigans are the best. Moto Jacket – Great inexpensive ‘leather’ jacket. Comes in four colors! I own grey and am thinking of adding black to replace my old sad F21 version I currently have. 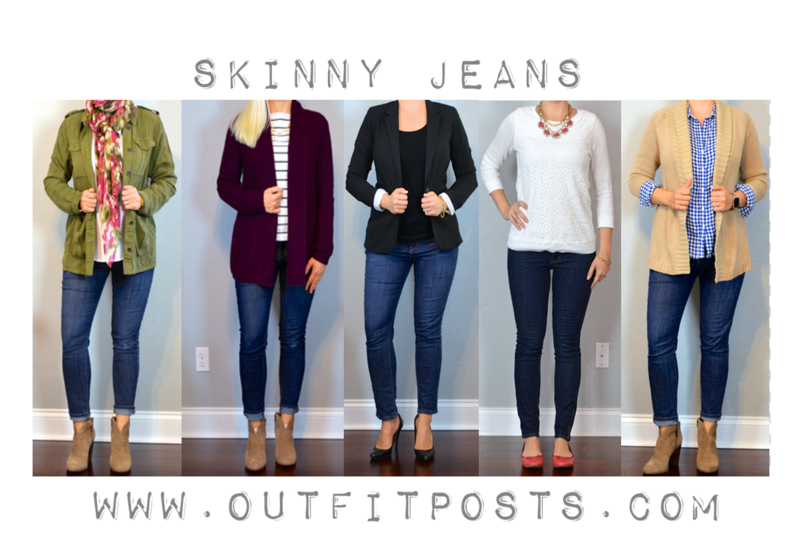 Skinny Jeans – Basics are necessary. These are cute and inexpensive. Textured Leisure Tunic – Great sweater for layering over leggings. 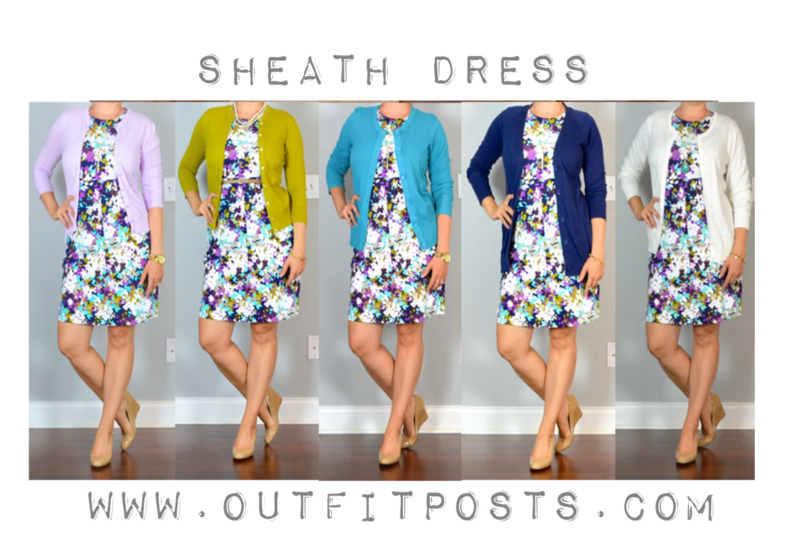 I love the Lands End Ponte Shealth dresses. But by the time I figured out my size, the best patterns were sold out. I have a solid colored one and you just can’t make it a different outfit as easily with a solid color! I will keep watching it though! What size do you wear in the Portofino shirt? They are 50% off right now and I want to snag a couple!! I wear a medium. I’m 5’7″ and about 140. Thank you – I’m 5’6″ and about 135 so pretty darn close (although currently 7 months pregnant!). It’s been a really, really long time since I ventured into the actual store, so I couldn’t remember their sizes, not that trying one on now would help lol.